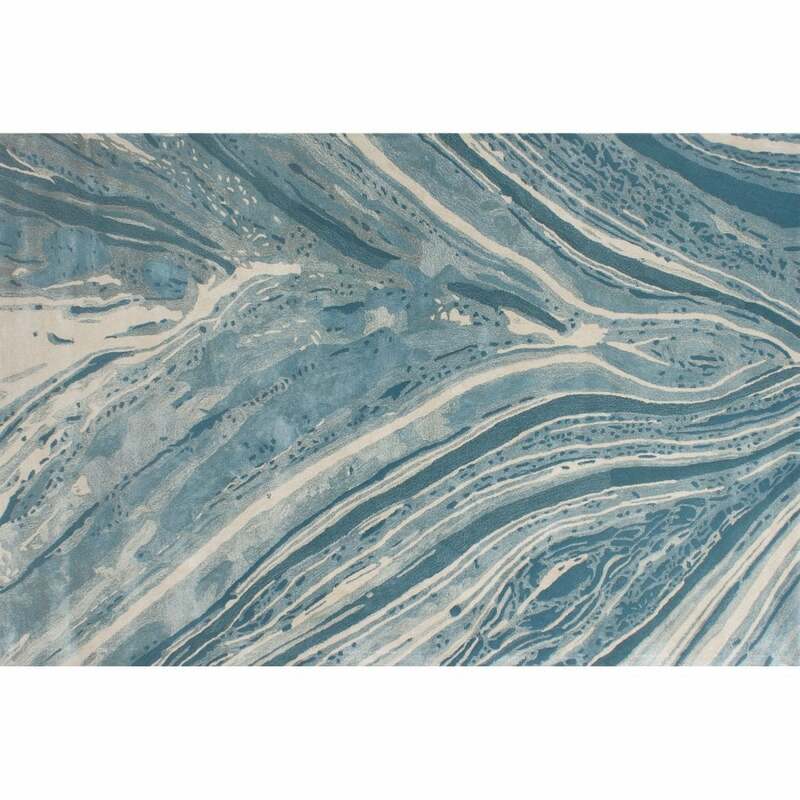 Inspired by exquisite patterns found in pieces of marble, the Exclusive Rug by Serge Lesage portrays beautiful irregularities to create a modern design. Arctic blues blend harmoniously with creamy white swirls and shapes for an elegant style that feels both contemporary and timeless. The curved lines exude a feeling of calm and relaxation and will bring an air of serenity to your interior scheme. Hand-tufted from the finest New Zealand wool and viscose, this striking rug combines both form and comfort. Available in both standard and bespoke sizes. Make an enquiry for more information.